The aftermath of a burglary can leave you traumatized, shocked and in panic. If you have no prior knowledge of what you should and should not do during such incidents, catching thieves and getting your priced possessions back can be quite difficult. This makes planning ahead of time very important. The earlier you call the police, the better the chances are of catching the bad guys. Because of this, you will also be able to save other homes from falling victims to them. Other than that, having the police over can make sure that your home is secured and safe for you and your family to return to. Filing a police report within 24 hours from the time of the incident can also help you process your insurance claims faster. 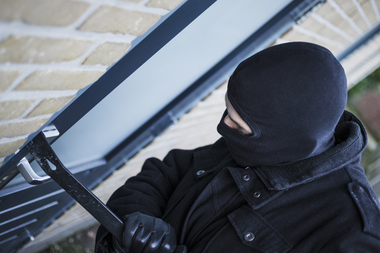 If you have just arrived home when you notice an intruder inside your property, do not enter and put your safety at risk. Exposing yourself to a burglar, particularly if you have no idea if he has company or if he is armed or not, is not the wisest thing to do. Instead, you can take shelter in one of your neighbors’ homes while you wait for the police to arrive. In case you are inside your home during a burglary, find a safe spot where you can hide while waiting. 3. Do not touch anything yet. Until the police arrives, do not touch anything inside your home. The authorities may need to see the incident as it is. It can help give them a better idea of what they will be dealing with. As such, you should resist the urge to reposition your valuables or to fix any broken furniture. Cleaning your home before any investigation is started can possibly wipe out essential pieces of evidences. In case you saw the burglars, try to recall relevant and important details. Information such as gender, estimated height and age can help the police with their investigations. You can also take note of what type of clothing the burglars wore and the direction where you saw them went. It can also help if you can remember if they were on foot or if they had their own vehicle. Taking note of the plate number can help the police point the burglars’ exact identities. 5. Review your surveillance videos. In case you have a good surveillance system in your home, there’s a good chance that you have the entire incident on record. You can use these videos as evidences against the burglars and in helping the police find them easier. 6. Take notes of anything you’ve lost. There are several reasons why you need to make a list of the stolen items. First, it can help give the police a clearer idea on how much was actually lost. It can also assist them in looking out for your valuables. If you can’t provide pictures, you can try drawing them to give better descriptions. Receipts and serial numbers are also important in proving that the stolen items are really yours. When taking notes, you can create a duplicate copy and send the other one to your insurance company. Because burglars tend to sell things they stole, you can look around through some of the pawnshops in your area. You can also try searching through online selling sites to see if any of your lost items are put on sale. This, unfortunately, is not a complete guarantee that you’ll find your valuables in these places but you can, at least, give it a try. There are people who claim to find some of their valuables through these methods. 7. File your insurance claims. Your insurance company will need the related documents before it can process your claim. Make sure that you have every file ready before filing for your insurance. Getting the police report and an itemized list of your stolen valuables ready within 24 hours can help make the process faster. An adjuster can also arrive at your home to make a personal estimate of the damages claimed. 8. 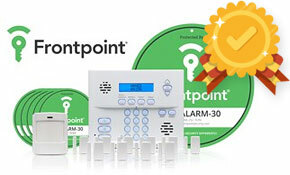 Improve your home security. Because there has been an obvious breach in your security, you may need to make adjustments to avoid the same thing from happening again. The first things you need to check are the points of entry and exit. If your locks were too weak, try installing something tougher. The addition of deadbolt locks and deadlocks is a good option. Although they are a bit more expensive than traditional locks, they can provide you with better security. Any broken windows, door hinges as well as locks should also be changed right away. In improving your home security, you may need to go through everything that has transpired. This way, you’ll get a better idea about the aspects that made your home an easy target for burglars. Once you have determined these aspects, be sure to act on them right away. 9. Allow yourself to melt down. After you have processed every documents and files needed, you should also give yourself enough time to take things in. You can file a leave from work to take a few days off. It’s normal to feel emotional and cry over your loss during such instances. Your home is your sanctuary and feeling compromised and unsafe while inside it can give you a whirlwind of emotions as well as stress. Taking some time off can help you get yourself back on track. You can share your experience with your neighbors or your friends so they can learn from it. They don’t necessarily have to experience getting burgled for them to learn important things about home security. Aside from this, building awareness can also mean communicating with your neighbors the idea of setting up a good neighborhood watch program in your community. You can also set up community blogs so that people who have experienced burglary can relate their experiences and thoughts.